I fell in love with this book the moment it arrived. 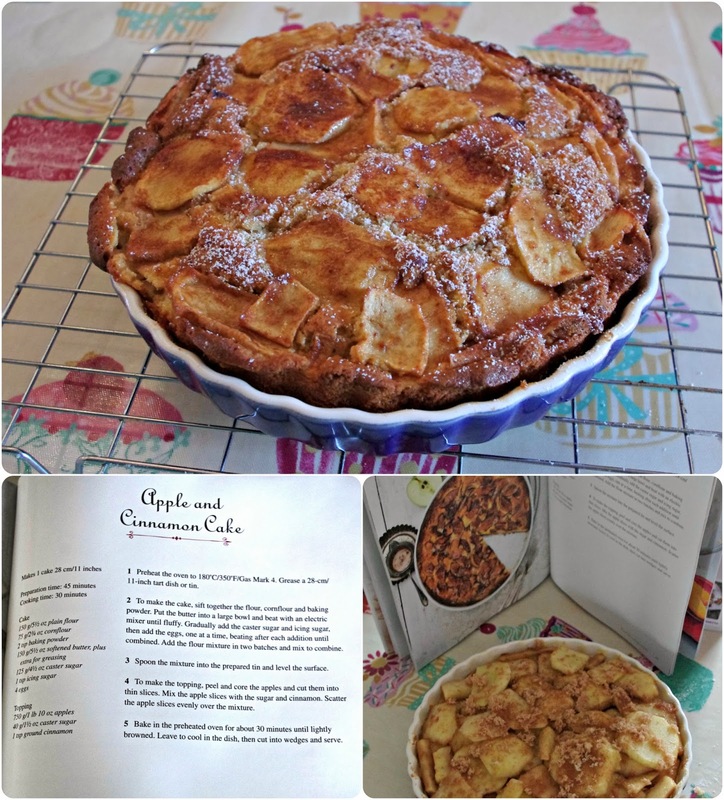 My most recent Parragon Book Buddy review is from the Love Food Cookbooks range. 'Baking with Fruit' has classic recipes as well as new ideas. The photography in it is stunning. And I love the range of fruits the recipes cover will not only make sure I get some more ways to give the little people what they love, but I can also introduce the children to fruit they may not necessarily like to eat as is (think lemons, limes and pomegranates). Although the recommendation of any cook book is not necessarily in its breadth or photography, but whether when the receipe is followed it turns out well. I went for an apple and cinnamon cake. I love apple turnover, apple pie, so this seemed a great compromise with my children, who love sponge cake. I followed the receipe to the letter, and bar not having a large enough flan dish I think it worked out perfectly (NB The smaller flan dish meant we needed to bake the sponge for longer as it was so well covered). And so, most importantly, everyone ate it. This book will not be gathering dust on the shelf. I'm going for the Lemon Sponge Roll next weekend! Disclosure: I received a copy of 'Baking With Fruit' for the purposes of this review. All views and opinions contained are our own.